This is a freebie opportunity open to A) writers, B) indie lit journals and small presses wanting an additional way to flag down passers-by, and C) low-res MFA students, alumni, or program reps who’d like the opportunity to talk up your institution. 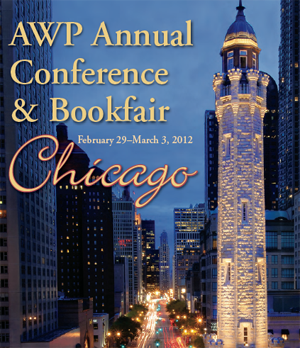 Chicago’s 2012 AWP is fast approaching and I have an opportunity to share. Thanks to my publisher, Continuum Books, I have a table exclusively to myself, for The Low-Residency MFA Handbook: A Guide for Prospective Creative Writing Students (link). Last year, I invited writers and low-res program reps (directors, faculty, students) to hang with me and talk to folks about their programs and their interviews in The Handbook and it was a HUGE success. It was also successful for some author pals who were able to brag about and sell their books. (As you can see from these candid shots, my table’s a good time.) I want to share my space again by opening up my second chair throughout the conference. If you’ve ever attended AWP, you know the Bookfair is a wonderful chance to meet and mingle with just about everyone (or, 9,000+ attendees if you want to get particular). The Bookfair runs Thurs-Sat from 8:30am – 5:30pm. I’m currently scheduling for the Bookfair and will freely offer my second chair and half of my table space to any low-res related person, author with a need to promote, or indie journal/small press rep who needs an opportunity to reach new people. I’d like to divide the schedule into 2-3 hour chunks, so have a look at the Conference Schedule to see when you might be able to devote some time to promoting your books/program/self/press and let me know when you’d like to sign up. If you want to sign up for more than one block of time, that’s fine. If you want a friend/colleague to tag along, that’s fine. Let me know your avails. You’re invited to bring along your books/lit journals, program brochures, biz cards, appropriate signage, and your stellar personality. My table this year is located at A5, which looks pretty good on the map (close to restrooms and coffee carts!). Once you confirm a time with me, I’ll even help promote your presence via social media, word of real-life mouth, etc. Oh, sure, you think there’s a catch. Not really. Well, yeah, sometimes I’d like a break to grab a coffee or a bite to eat, maybe walk around the Bookfair to stretch my legs and say hi to folks, and I do have two sessions I am participating in, so – yes - it matters to me that I have some break relief here and there. But, really, I’m giving up a free chair and half a table’s worth of space while you’re in that chair. 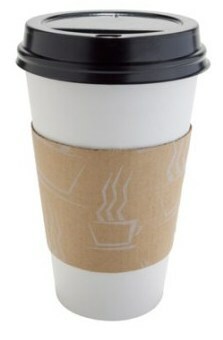 It seems fair to cover for me while I re-caffeinate, right? Email me and we’ll chat. Soon. The conference is right around the corner and the sooner my table schedule is solid, the sooner I can start bragging about your presence and location in the Bookfair. [Chestnut Hill, MA, November 2011] Pine Manor College is pleased to announce that a select number of graduate-level creative writing courses will be open to the public for auditing during the winter residency of its Solstice MFA Program, scheduled from December 30, 2011 to January 8, 2012. Classes are open to serious writers working at all levels; auditors are encouraged to complete the advance preparation requirements for any MFA class they wish to attend. The registration fee is $30 per course for Solstice graduates/$40 per course for the general public; the deadline for enrolling as an auditor for winter 2011 Residency is Friday, December 23, 2011.